Euro reached the targets; my Take Profit worked. Right now, the price is moving inside the target area. If later the pair rebounds from the area, Euro may start a new correction, at least. I’m trying to sell with the tight stop. 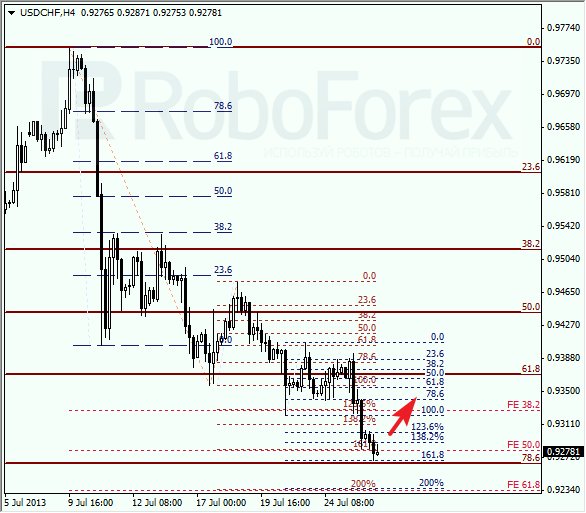 At the H1 chart we can see, that the price is moving inside a temporary fibo-zone. Moreover, the bulls may face resistance from the 1 line of the fibo-channel. If the price rebounds from the current levels, I’ll try to increase my short positions. Franc also reached predicted target levels. If the price rebounds from the level of 78.6% and other fibo-levels, the pair will make a reverse. However, if the price breaks the level, the bears will continue pushing the pair towards new minimums. 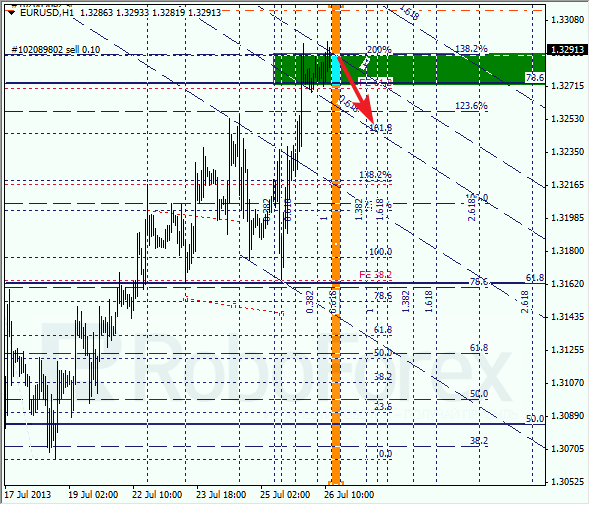 At the H1 chart, the pair reached its temporary target. Yesterday my Take Profit worked and right now I’m staying out of the market. The future scenario depends on how the price will move at the level of 78.6%.